Ex-Minister: 'Grave Damage' To Pakistan's Ethos Former Foreign Minister Khurshid Kasuri tells NPR's Steve Inskeep that U.S. accusations against his country after the death of Osama bin Laden have changed its psyche. He says Pakistanis are the victims of homegrown terrorism, giving them ample room for introspection. 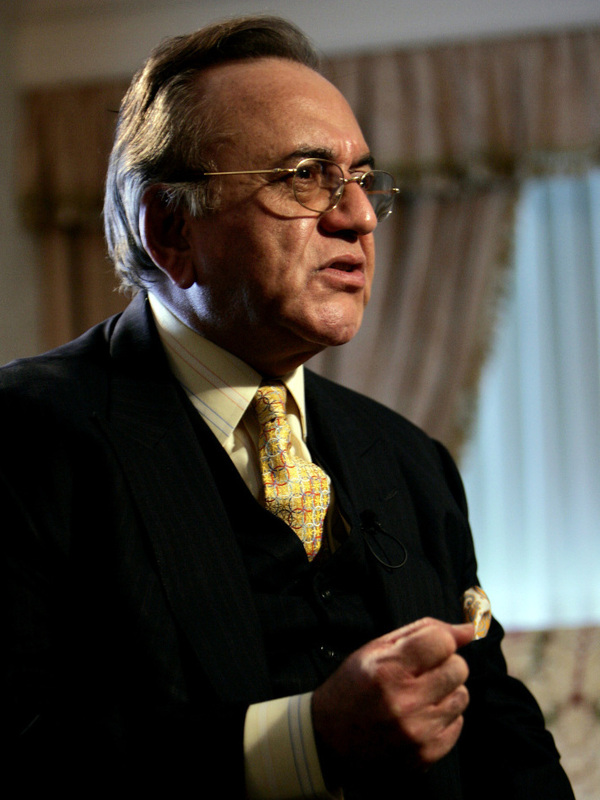 Khurshid Kasuri, during a visit to Washington, D.C., in 2007, when he was Pakistan's foreign minister. The death of al-Qaida leader Osama bin Laden was the end of a long and painful story for the U.S. For Pakistan, however, it could be a painful beginning. The raid that killed bin Laden was a huge embarrassment for Pakistan's powerful army. In Lahore, Pakistan, former Foreign Minister Khurshid Kasuri discussed the consequences with Morning Edition host Steve Inskeep. "In Urdu language, there is a saying ... that if you inflict wound with a sword it will get healed, but when you inflict a wound with your tongue, it takes much longer — if at all — to get healed," Kasuri said. Kasuri is unhappy about both kinds of wounds. He doesn't like U.S. criticism of his country after bin Laden was found near Pakistan's military academy. And he stresses the thousands of Pakistanis killed in a decade of terrorist attacks since Sept. 11, 2001. "Could they (the United States) in their wildest dreams believe Pakistani army would hide Osama bin Laden half a mile from the Pakistan Military Academy?" he asks. "If they wanted to hide him, surely there are places where they could have provided him with an air-conditioned underground bunker, which could be as comfortable as they wanted Osama to be in." Kasuri spoke of the damage the recent events have caused to the Pakistani mind. "Our psyche has changed. The country has changed beyond recognition after, you know, our alliance with the United States — and I'm not blaming the United States for that," he says. "We ourselves are responsible for a large number of things that are happening in Pakistan, but it's becoming very common in America to say, 'Oh, they are taking our money,' as if it's charity. It's not charity. "As far as we are concerned, we have suffered much more for that." Kasuri says Pakistan has lost 35,000 people to terrorism, and Pakistanis can't run away from domestic terrorists who target men, women and children. "In terms of culture, ethos, psyche, it has caused such grave damage," he says. But he adds the country does not need counseling from outside. "That kind of counseling can only come from within," he tells Inskeep. "It does not come from outside. It comes from introspection. "That is being provided amply to Pakistan by the attacks launched on Pakistan by Pakistanis."